Today see the BBC release some nice publicity images from The Rings of Akhaten. Amongst the images are a couple of full length portrait shots of Matt in costume. He’s wearing the same grey wasitcoat worn in The Bells Of St John, though this time without the gold watch chain. We get a nice view of the new purple boots. The Doctor continues to wear the glasses which first appeared in The Angels take Manhattan. There’s another new bow tie. This time in a deep burgundy with a light block pattern. The trousers seem to be the G-Star RAW jeans, worn since series six. Hey, Steve. 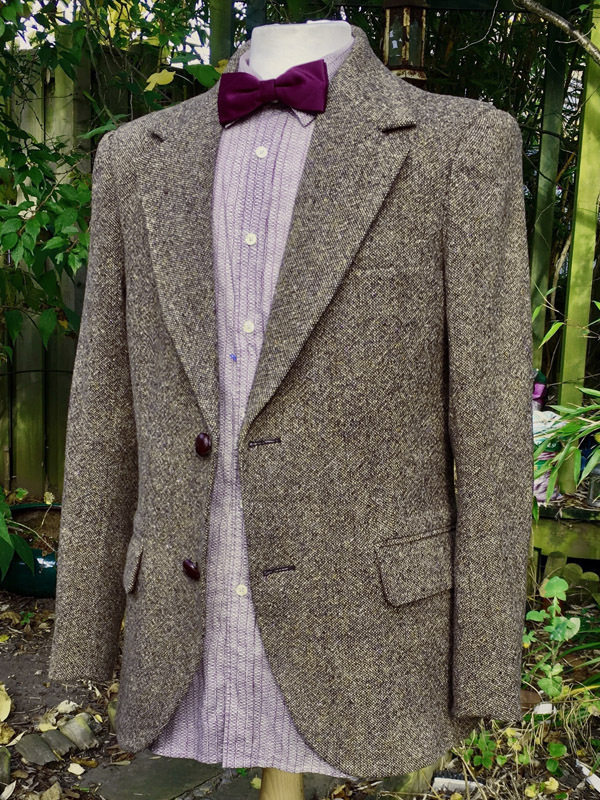 Are you going to be making this frock coat available any time soon? This is by far my favourite outfit of 11's. I can always make stuff - it just comes down to the price as this is an above premium fabric. Awesome! I really am thinking about it as I said it is my favourite outfit of his. About how much would said coat cost if you were to make it? Can you give an off-the-cuff estimate? 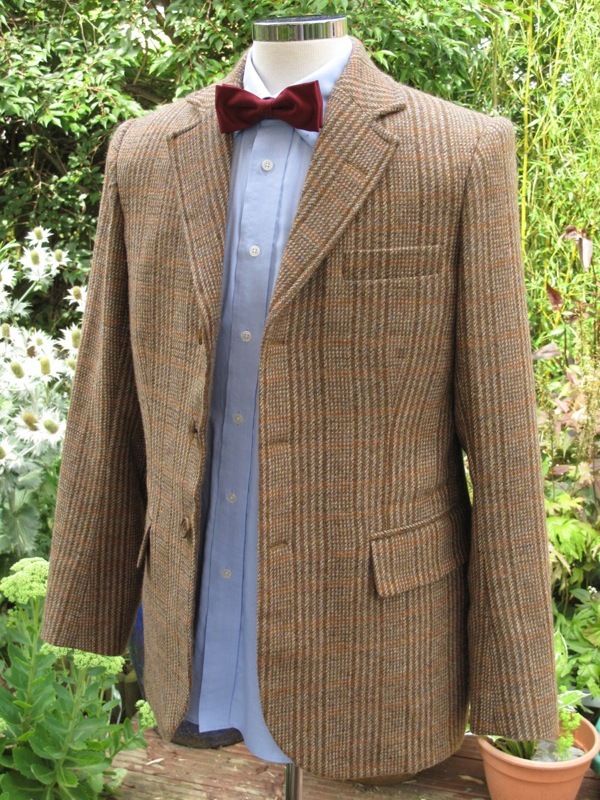 Well, the fabric is £330 per metre, and I used 3.5 metres to make my coat. So it's upward from there. Check out the Cold War costume portrait, it appears we have the return of the Series 6 black boots! 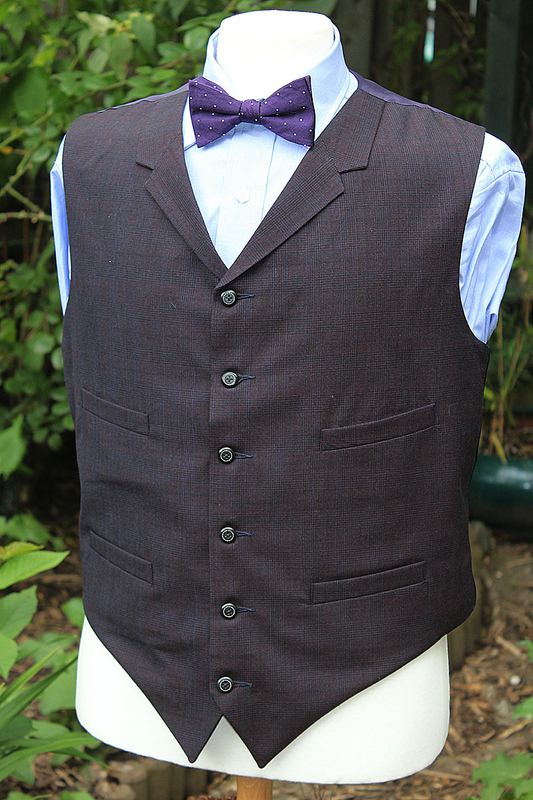 Despite the appearance in the photos above, the waistcoat is much more of a neutral colour. It's a light grey, say around a 25 to 30% tint of black. 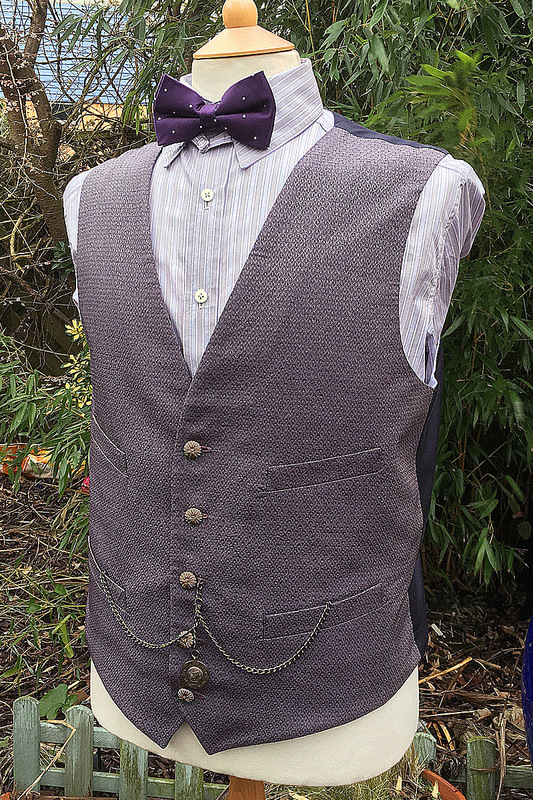 The pattern looks to be a pretty standard cut for a waistcoat. Nothing really special there. The only killer is the weave of the fabric which has a sort of fish scale effect. What kind of coat is it? Does that style have a name?